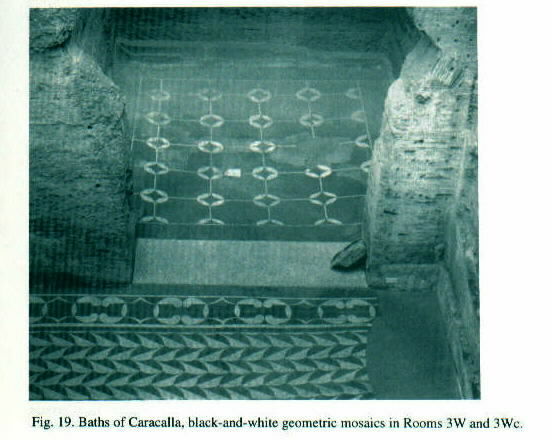 As you can tell, most of the geometric designs featured curvilinear shapes and they were divided into two classes bases on their color: the black and white mosaics and the colored mosaics. 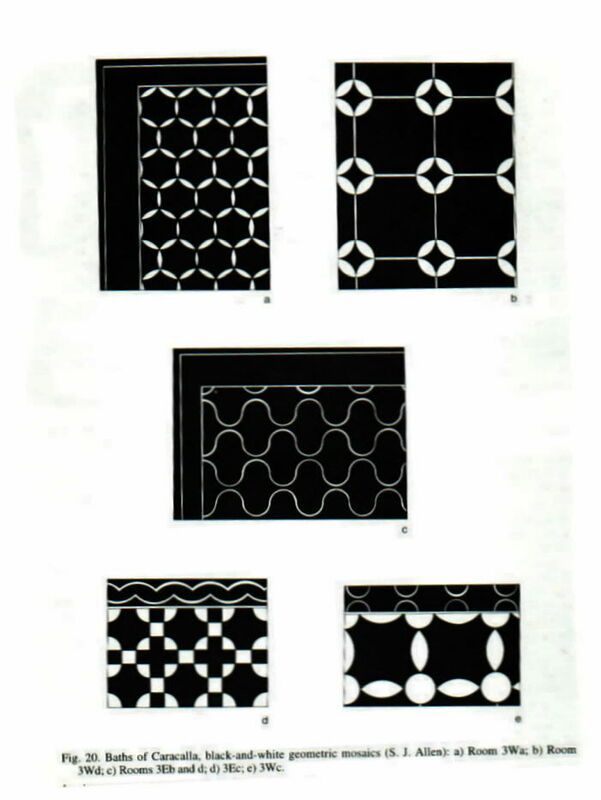 The larger spaces feature the overlapping scales, whereas the smaller rooms feature patterns of white linear designs on a mainly black background. 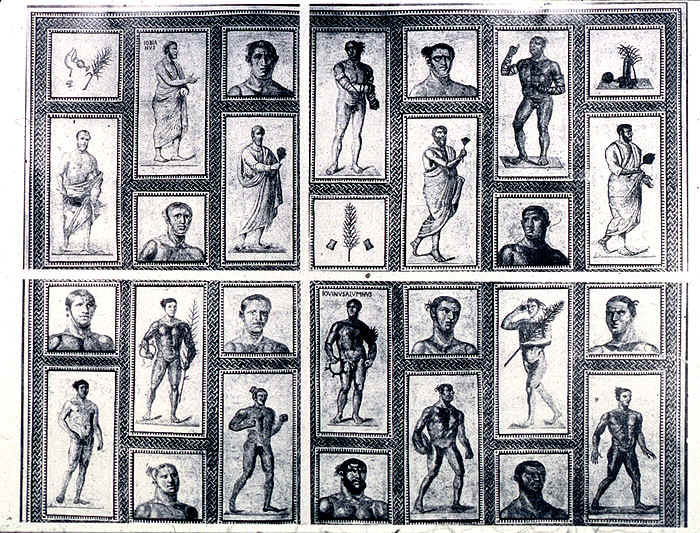 There have been two groups of figured mosaics; one featuring a nautical theme (typical for a Roman bath) and one featuring athletes and trainers, which was found in a side room off of the palaestra. 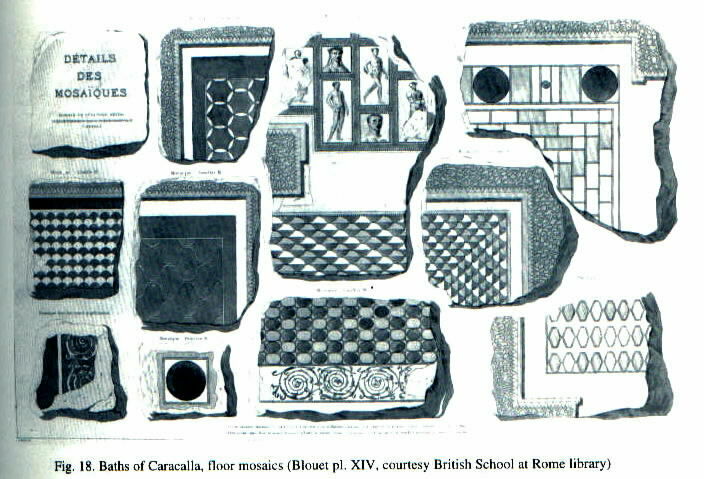 The rooms in the central axis, the natatio, frigidarium, tepidarium, and caldarium, once featured marble floors, but only scarce remains can be found today. Next, we'll head over to the sculptures.